Theme parks, expensive vacations and traffic jams come to mind to those who have visited the Orlando area. But there is more to the home of the Magic Kingdom and there are plenty of alternatives in terms of activities, restaurants and hotels — all of which will provide a very different Central Florida experience. Here are 10 ideas for your next trip to Orlando. The Epcot ride, Soarin, is understandably one of Disney World’s most popular rides; it really seems like you’re flying over the orange groves and theme parks of California. You can practically smell the citrus. Well, you can soar over the orange groves and theme parks of Florida by embarking on a hot-air balloon ride courtesy of Orlando Balloon Rides. It’s an hourlong excursion, which is about how long the queue is for Soarin. The ride is tranquil and beautiful, particularly if you opt for the sunrise flight. Theme parks and the congested Orlando roads are not easy to navigate. It can be a stressful vacation, particularly if you visit during the dog days of summer. Why not decompress when you’re not racing around the city? Choose a hotel that’s close to the action but just off the beaten path. The Bohemian Hotel in nearby Celebration is ideal; the rooms are large and comfortable but the biggest selling point is that the area is chill and pretty. Kissimmee is the vacation-home capital of the world. It makes sense to rent a home or condo. Many families hit the theme parks together and book adjoining hotel rooms. A great way to save a few bucks is to check out some of the developments where there are three- and four-bedroom options; there are even nine- and 12-bedroom places available. Many are opulent new homes with pools, game rooms and movie theaters; Jeeves specializes in Kissimmee rentals. Universal’s Volcano Bay isn’t usually close to being packed like other Universal or Disney Parks. When you check in, you receive a device that allows you to book one of the park’s more popular attractions. While you keep track of time, you’re able to experience other rides at the water park. 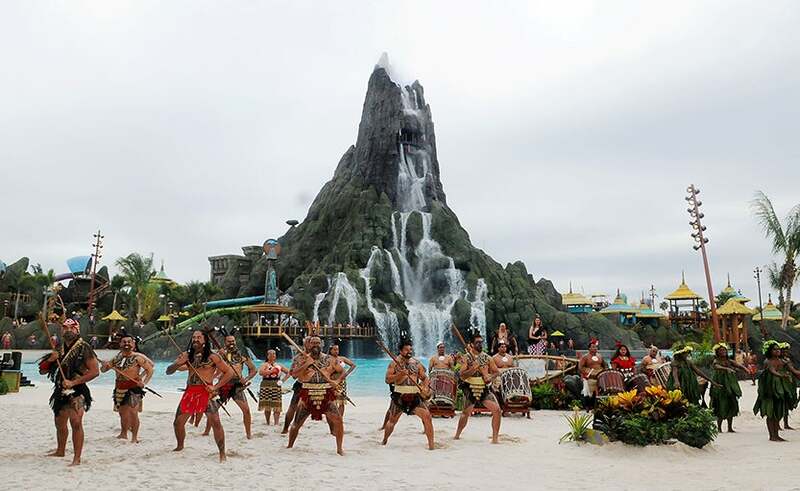 Don’t miss the Ko’okiri Body Plunge, which features a 70-degree drop and a plunge of 125 feet. Prior to reaching the destination, riders must walk up the equivalent of 13 flights of stairs. The Everglades and the coasts of Florida score the majority of ink when it comes to kayaking in the Sunshine State, but there are a number of rivers in Central Florida to navigate through the pretty Cypress Forest. Just off of the busy Disney corridor lies picturesque Shingle Creek. During a peaceful morning kayaking excursion, we witnessed plenty of waterbirds, turtles and alligators. There were a number of baby gators on the banks with no sign of the mama gator, who was probably under our kayaks. Don’t fear the gator. A couple of new restaurants recently opened in Disney Springs: The Edison will only admit those 21 and up after 10pm. It’s a stylish venue with three bars and a restaurant. There is charming, old-school entertainment, such as jugglers, dancers and aerial acts; there is also a DJ. It’s an aesthetically pleasing room with a huge mechanical working clock as its centerpiece. Burgers and fries stand out on the late-night menu, but it’s more about the potent libations. Bottoms up! Forever Florida is about a half hour away in St. Cloud. There are a number of zip lines but the most popular is the only zip-coaster — dubbed the Rattlesnake — in the United States. I leaped off of a 65-foot platform and allowed gravity to pull me around the serpentine track. It’s a herky-jerky ride, but it’s a blast. The other notable zip is the Panther Pounce, which features a straight seven-story drop, which is more exciting than Disney’s Tower of Terror. 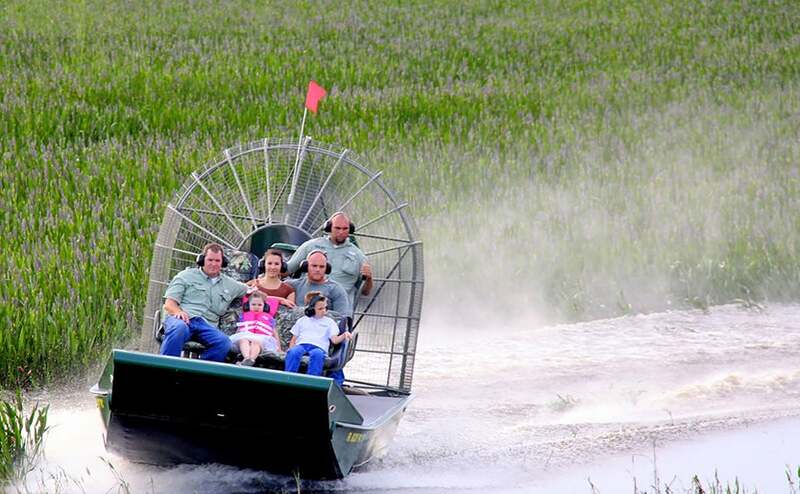 Airboats aren’t only off of Alligator Alley. Just south of Orlando is Wild Florida Airboats & Gator Park. We boarded an airboat in Kenansville and witnessed gators just hanging in the brush; we punctuated the excursion with a sloth encounter. As long as the sloth is eating, you can pet the slow-moving creature. You can bet on quality beef at the Kres Chophouse. Berns and Shula’s score most of the steakhouse ink in the Sunshine State, but Kres Chophouse is top-notch; you can’t go wrong with the 18-ounce ribeye. It’s composed of over 70 tons of ice and is maintained at 27 degrees Fahrenheit — even the couches and tables are constructed out of ice. Drinks are served in glasses made out of ice. The drinks are always cold, well, unless you order a hot chocolate, which is on the menu. A reminder when booking hotels: Be sure to use a credit card that earns extra rewards for travel or hotel stays. Check out the TPG list of the Best Hotel Credit Cards for our top choices. This story has been edited to say that Kissimmee, not Orlando, is the vacation-home capital of the world.